Ink and Toner cartridges for TEKTRONIX Printers. Tektronix Ink Sticks are easy to use and produce stunning color print quality. They generate up to 90% less printing waste than comparable color laser printers. Cartridge-free Tektronix Ink Sticks lower running costs by drastically reducing the number of items customers must replace. Print environmentally friendly and save along the way. 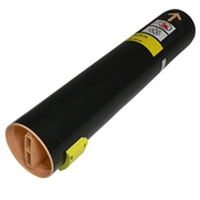 Get Tektronix Phaser Toner Cartridges for the lowest prices online here at Inkjetsuperstore.com! We searched 3,500 printer supplies to find only the Brother printer supplies guaranteed to work in your machine. Our Tektronix ink sticks and Tektronix toner cartridges will offer you superior print quality and huge savings.